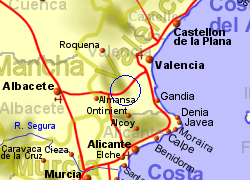 The village of Chella lies approximately 40Km inland from Gandia on the coast, and 50Km south west of the city of Valencia. The village sits in an agricultural area, with the stunning Ssalto de Chella waterfall les than 100m from its edge. 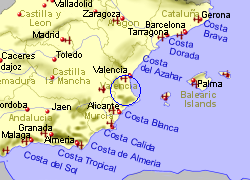 Map of the Chella area.